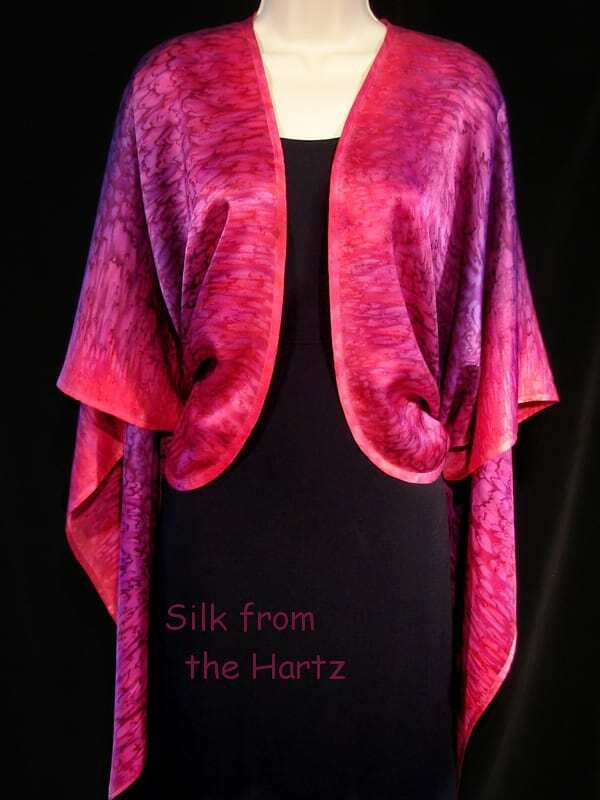 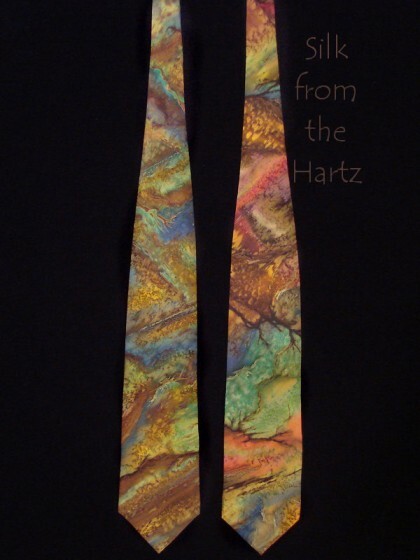 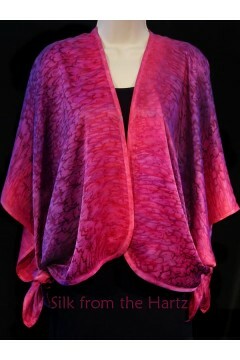 Stand out in classic elegance with artistic hand dyed silk satin wrap, for travel, business, or evening wear. 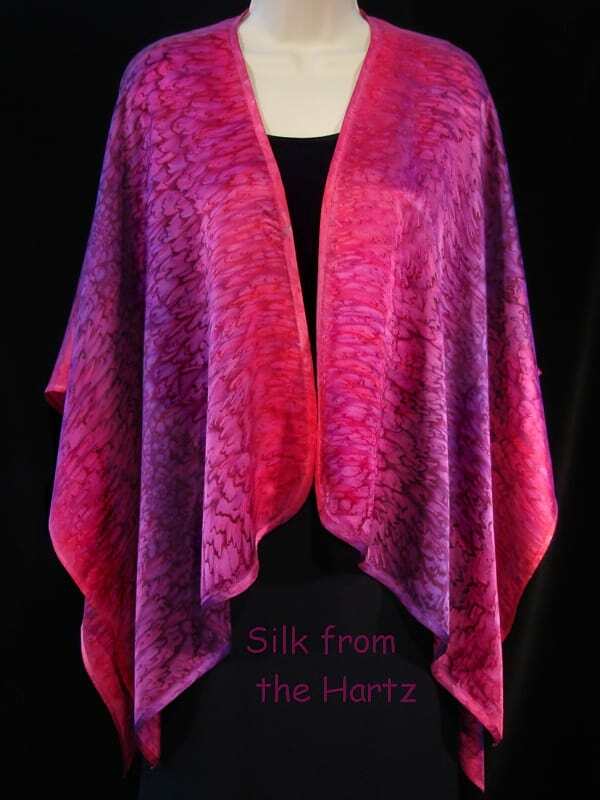 Dyes are blended on the silk with brushes then sprinkled with salt while still wet, creating a beautiful raindrop effect. 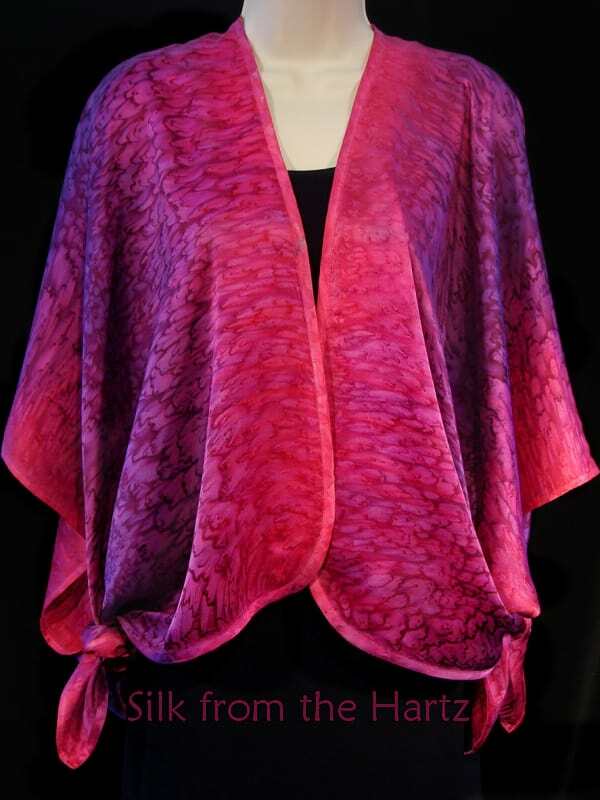 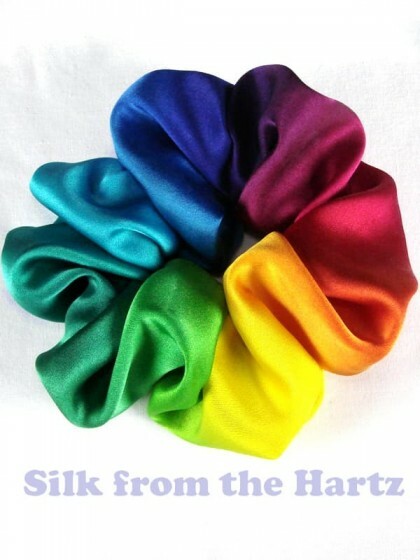 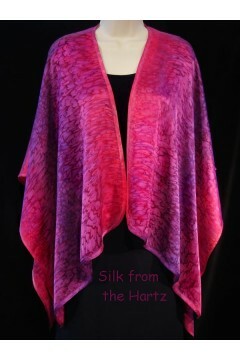 Hand dyed silk satin is soft and luxurious, colorfast and hand washable. 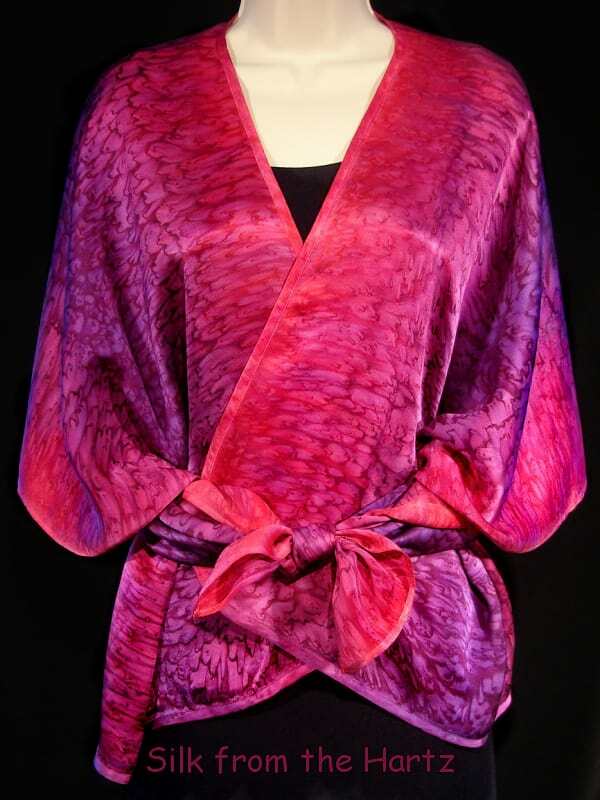 See photos for versatile ways to tie as a shawl, wrap, or pareo. 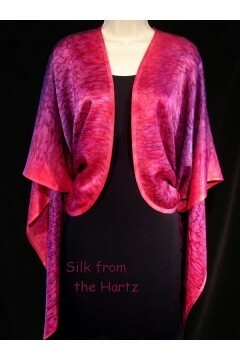 Sewn and dyed in the US, silk is from China. 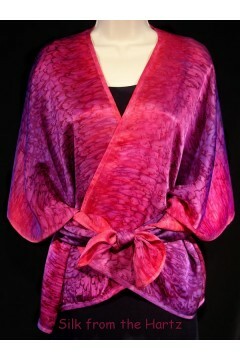 Classy Silk Satin Shell Wonderfully soft, comfy to wear, cut on the bias for nice drape and fit, classy and beau.. 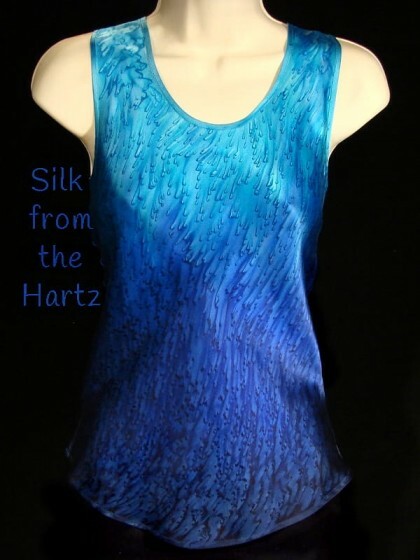 Colorful Fashion for Women - Unique design hand dyed on a silk satin scarf by sprinkling salt on wet dyes, creat.. 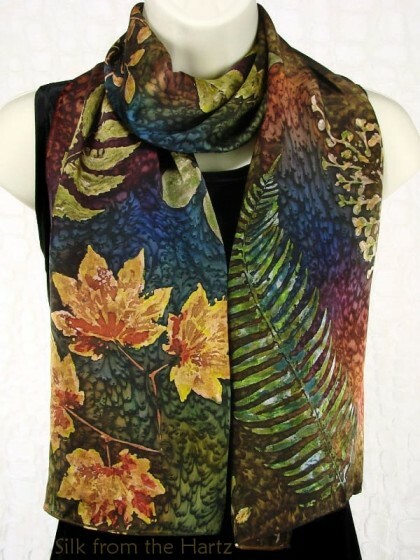 Autumn Leaves Silk Fashion Awesome botanical leaf print fall scarves made with real ferns, branches and le.. 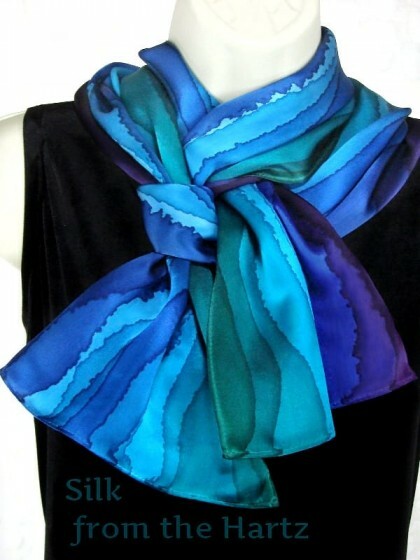 Elegant Jewel Tone Silk Scarves Unique hand painted stripe design in beautiful jewel tones of blue, green and..